At the end of 2015, the UK Government published Sporting Future: A new strategy for an active nation. This strategy marked the biggest shift in Government policy on sport in more than a decade, and it actually mentions sport volunteering. It recognises that volunteering enriches the life of the volunteer and not just the participants whose sport activity is facilitated – “the double benefit of sport volunteering”. 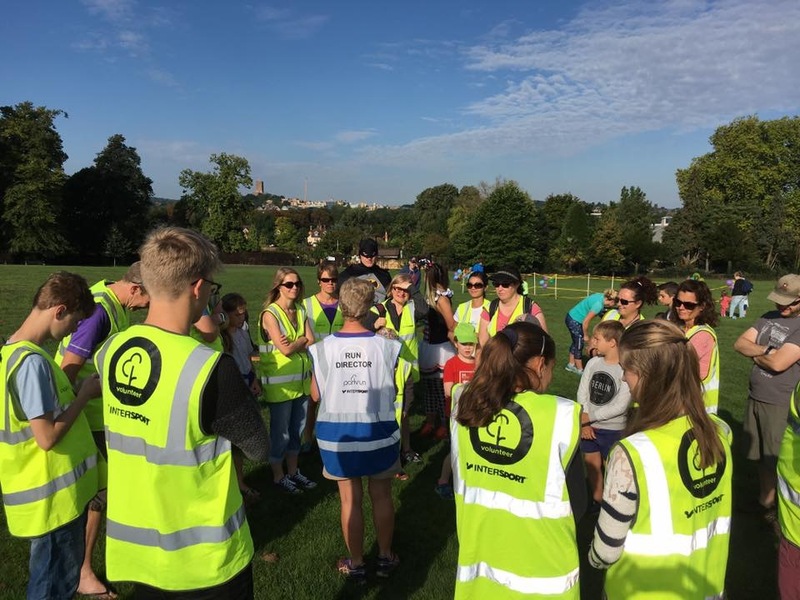 The Government wants to encourage sport and physical activity volunteering for its own sake and the strategy includes a case study on volunteering at parkrun, recognising that …..
parkrun has established a new model for community sport volunteering which puts the volunteer centre stage. This case study makes me punch the air because it fits with what I have been getting excited about for years, see It’s an honour to volunteer for parkrun and parkrun volunteers get cold fingers and toes and a warm feeling inside. The strategy also recognises the importance of recruiting, retaining and rewarding volunteers who are representative of the entire population. It mentions a better online system for brokering sport volunteering opportunities (Consortium takes over Join In) and I am optimistic that it also means more recognition of the skills needed for volunteer management. Sport England has two funds supporting volunteering: The Opportunity Fund (targets people, aged 20+, from economically disadvantaged communities) and The Potentials Fund (targets children and young people aged 10 to 20, with a particular focus on 10-14 year-olds, who are interested in doing something to benefit their community, through social action.) Expressions of interest in the first round of these funds are now closed. See Volunteer Funding Investment Guide for more information. Sport England is making up to £26 million over 4 years available to support implementation of their Volunteering in an active nation strategy. The first Annual Report on Sporting Future was published in February this year. This 40-page report has a succinct and positive message for the future of sport volunteering. Copied below. 4.32 Sporting Future takes a new approach to volunteering, recognising the positive impact it has on volunteers themselves as well as the benefits to sports and the importance of recruiting, retaining and rewarding volunteers who are representative of the entire population. Sport England is making up to £26 million over 4 years available to support implementation of this strategy. 4.34 In its volunteering strategy Sport England recognises and promotes the crucial role that digital communications can play as an enabler to increase the number and diversity of sport volunteers. As this strategy is implemented in 2017 and beyond Sport England will consider how it can best support the use of digital technology in sport volunteering. 4.35 Sport England will work with other agencies to increase the number of sport and physical activity volunteering opportunities that can be taken up by employees. I am waiting with interest to see the outcome of the first Sport England Funding round and to see what types of projects were funded and which partners Sport England chose to work with. This will help us all understand funding priorities for subsequent rounds. I am also eagerly awaiting developments with the new Join In Consortium under the Sport and Recreation Alliance and I really hope that we get good volunteer brokering functionality that really does “make sport and recreation volunteering more representative and accessible”. The parkrun volunteer system works, and has worked well for years. It is simple and enables participants to put their hand up for a specific job on a specific day and for local teams to manage their own volunteer roster. If you are not familiar with parkrun, you can see how it works here: volunteer at Guildford junior parkrun. This entry was posted in Find a volunteer, parkrun, Sports Clubs, Volunteer Manager by Linda Cairns. Bookmark the permalink.